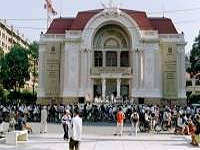 Arriving at Hanoi, our guide and driver will be waiting at the airport to welcome you and transfer you to your hotel. The afternoon is at leisure for you to rest, then in the evening, you will see the world-famous Vietnamese Water Puppet show, followed by dinner at local restaurant. 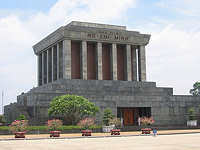 Today we take a full-day tour of Hanoi, includes Ho Chi Minh’s Mausoleum (closed on Monday, Friday and the whole October-November) and residence, the One-Pillar Pagoda and the Army Museum. After lunch at a local restaurant,we visit the Temple of Literature, built in the 11th century as Vietnam’s first university, the Fine Art Museum, Quan Thanh Temple, Hoan Kiem Lake and Ngoc Son Temple in the Old Quarter of Hanoi. This morning is at leisure. 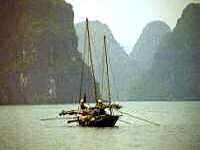 In the afternoon we drive for 4 to 5 hours to Ha Long Bay. On arrival in Halong Bay town, we check into the hotel and later take dinner at local restaurant. A morning cruise in a private junk on the emerald green waters of Halong Bay, among the 3,000 spectacular limestone islands. The cruise ends with a fresh seafood lunch on board, then sail to Cat Ba Island, the largest in the bay, and transfer to a hotel. The evening is spent in one of the many fine local restaurants on the island. 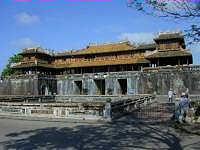 Morning tour includes Cat Ba's national park and the famous Cat Ba Hospital Cave used during the American War. Afternoon by hydrofoil to Haiphong and drive back to Hanoi and transfer to airport for your flight to Hue. Pick up & transfer to hotel. Dinner at local restaurant. 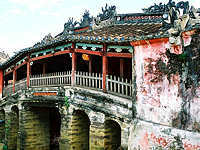 Full day city tour starting with a boat trip on the romantically named Perfume River to visit Hue's best-known religious site, Thien Mu Pagoda, and the mausoleum of former emperor Minh Mang, in a tranquil setting of gardens and lakes. In the afternoon visit the elaborate mausoleums of emperors Tu Duc and Khai Dinh and the Imperial Citadel from where the Nguyen Dynasty ruled between 1802 and 1945. 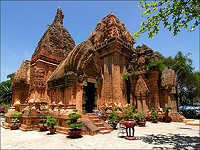 This morning we drive to Hoi An via Danang. The scenic route climbs over the Pass of Ocean Clouds before dropping down to the wonderfully photogenic fishing village of Lang Co. Danang city tour China Beach, once famous as a beach resort for resting US soldiers and the Cham Museum containing the finest collection of Cham sculpture in the world. After lunch drive to Hoi An. On the road from Danang to Hoi An visit five sacred hills known as the Marble Mountains containing dozens of Buddhist shrines. On arrival in Hoi An transfer to hotel. 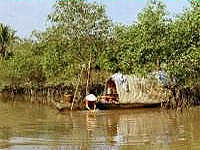 This morning we take a 2-3 hours boat cruise along the river with visit to local village. Afternoon at leisure to wander in this lovely ancient town full of old Chinese houses, temples and markets. Morning at leisure. Drive back to Danang and transfer to airport for your afternoon flght to Ho Chi Minh City, pick up and transfer to your hotel. Evening dinner at local restaarant. Full day city tour includes a tour of The Reunification Palace (former Presidential Palace), Post Office, Notre Dame Cathedral, Lam Son Square, Ben Thanh Market, Thien Hau pagoda, The Museum of HCM Campaign, China Town (Cholon) and Binh Tay Market etc. A full day trip to the watery world of the Mekong Delta, just a couple of hours by road from the hustle and bustle of Ho Chi Minh City's streets. Depart for Vinh Long, 150km southwest Ho Chi Minh city. A motor-boat takes you along the Mekong river and follows small canals flowing sluggishly between banks of luxuriant vegetation to Cai Be floating market, one of the most typical floating markets of the Mekong Delta. Experience the exotic sights, sounds and smells. Lunch at a bonsai garden with speciality food - "Elephant's Ear" fish. After lunch we visit a tofu and fish sauce factory etc before return to HCM. At leisure until transfer to airport for your return flight to UK. All the sights and sounds of Vietnam from North to South...or South to North if you prefer!